3rd of August is one of those blessed days that enlightens a section of humankind that is oppressed by the rage of summer heat about a natural counter to its excesses. Watermelon Day as this date is better pronounced is celebrated as a refreshing wave of freshness in the scorching temperatures of the season. This is a very thoughtful move made by some brilliant thinkers to give a very natural twist to the otherwise calorie rich inclinations that manifest their omnipresence during these months. In fact, with watermelons introduced as the cool savior, ice creams and sugary drinks can take a successful backseat. 100gms of watermelon contains no more than 30 calories. Imagine how much you could consume without threatening your weight! Eat 2 bowls in the morning, 2 in the afternoon and 2 at night and all you will gain is 180 calories! If you are on diet, watermelons could be your best companion. 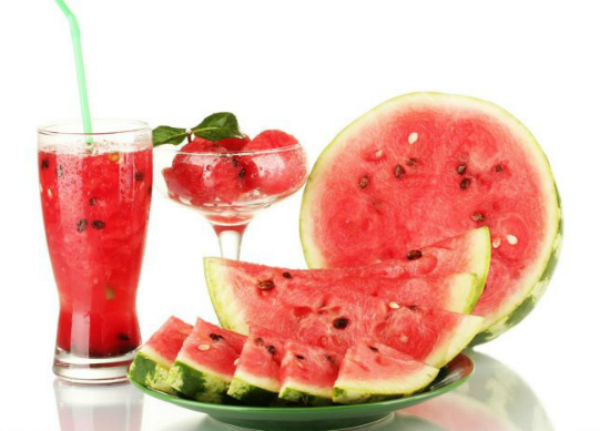 Watermelon is rich in Lycopene which is a form of carotenoid pigment which protects the skin from harmful UV rays. So, you could challenge the sun in those incessant pool parties not just with your sunscreen but with a bowl of watermelons as well. Who could deny the anti oxidant properties of watermelons? It offers a massive boost to your overall GI system, all major organs and glands. At the same time, it is a good source of Vitamin A, Vitamin B6, Vitamin B1, Vitamin C, manganese and potassium. Being rich in potassium, watermelons are a good way to regulate heart rate and blood pressures while countering threats of debilitating strokes. With all these uplifting advantages and with a heavenly taste, it is advisable to enjoy watermelons this 3rd of August in its natural form. Try not to sweeten it with additional sweeteners or make it a side dish to an assortment of calorie rich desserts. Watermelons are best eaten when cut into chunks or wedges and chilled in the fridge! You could also juice the chunks, add mint leaves to it and enjoy the most refreshing drink ever to be available in this summer.